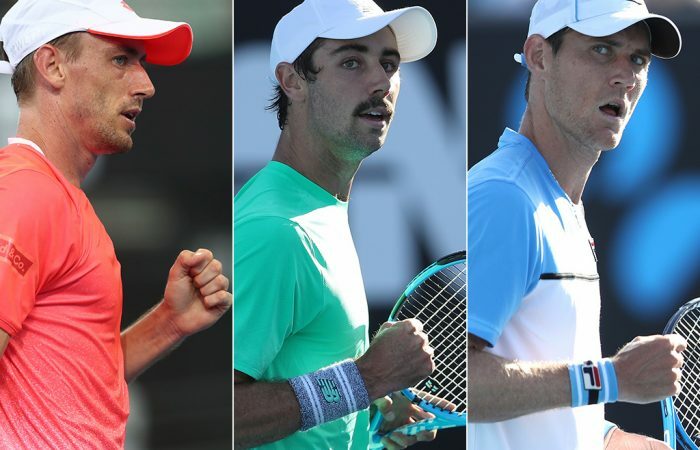 Jordan Thompson, Matt Ebden and John Millman boosted Australia's first-round winner's list to eight players with solid outings at Melbourne Park on Monday. 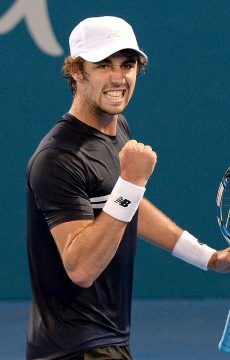 A rejuvenated Jordan Thompson has won just his fourth match at a major in 18 attempts, thumping veteran Spaniard Feliciano Lopez in straight sets on day one of the Australian Open. John Millman was another winner on the opening day, beating Argentine Federico Delbonis 6-3 3-6 7-6(3) 6-2 to reach the second round. 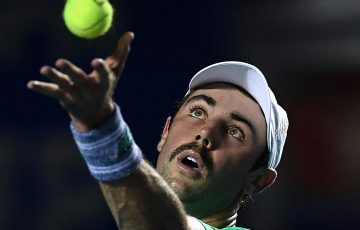 Milliman will face 22nd seed Roberto Bautista Agut in the second round as he looks to replicate his best result at his home slam, a third round appearance. “I feel like I have been playing good tennis,” he said. 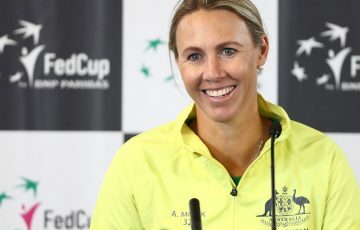 “Especially last year and even this year in Brisbane and Sydney I thought I was striking the ball pretty well. 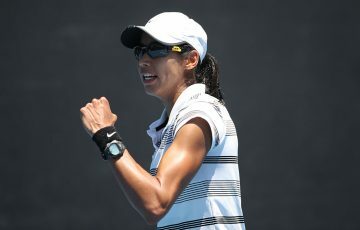 The 24-year-old Sydneysider Thompson won 6-1 7-6(7) 6-3 on Monday, setting up a second-round clash with either American Steve Johnson or Italian Andreas Seppi. “It’s a great start. 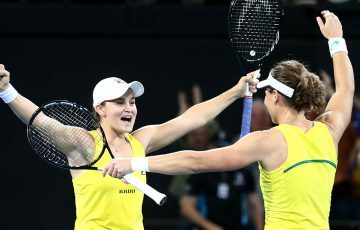 It’s never easy in your home slam,” said Thompson. 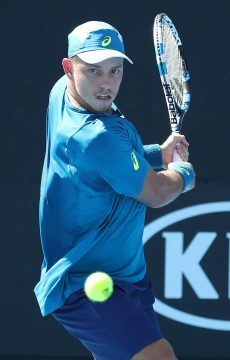 Thompson battled a crisis of confidence in the latter part of 2018 and returned to find his groove at the second-tier Challenger level, where he finished the year with titles in Traralgon and Canberra and a 10-match winning streak. “It gave me plenty of match fitness. 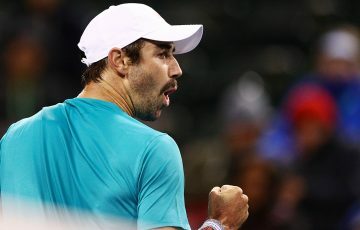 To win matches back-to-back … it restored confidence,” he said. 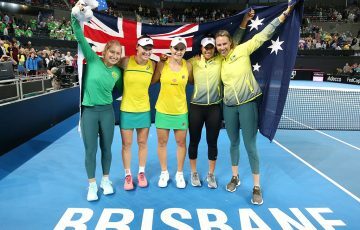 The world No.72 also reached the quarterfinals at last week’s Sydney International before bowing out to countryman Alex De Minaur. 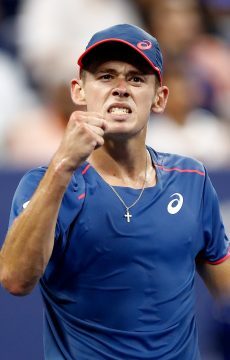 De Minaur earlier on Monday beat Portugal’s Pedro Sousa in straight sets. Another Aussie, Matt Ebden, bounced back from a forgettable first set to run out a four-set winner over Jan-Lennard Struff of Germany. 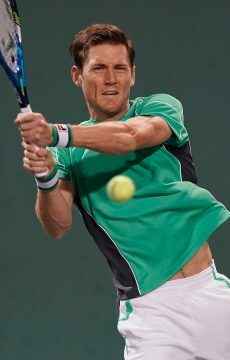 Ebden’s 1-6 6-4 6-3 6-3 win sends him through to the second round, where he will face No.2 seed Rafael Nadal. Nadal accounted for Australian wildcard James Duckworth at Rod Laver Arena, winning 6-4 6-3 7-5 for his first victory since the US Open in September. 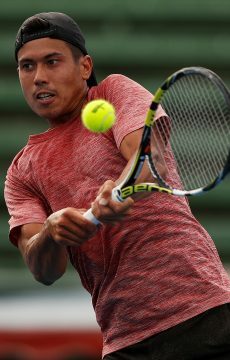 Two more local wildcards, Jason Kubler and Marc Polmans, both exited the tournament at the first hurdle. 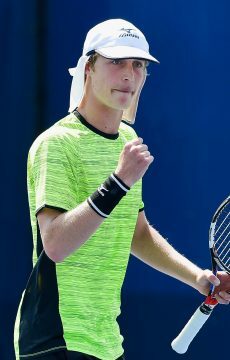 Kubler, who endured an injury-interrupted build up to the Australian Open, lost 6-4 7-6(1) 2-6 6-3 to Italy’s Thomas Fabbiano, while 21-year-old Polmans led Denis Kudla by two sets to love before falling in five.